It may seem strange, but after all my worldly adventures I had still never been to New York City (until a month ago!). The flight is only an hour and a half from Toronto .. So you’d think I would have made it there. I didn’t however, because it seems I am a sun baby and have always gravitated towards the beaches rather than the yellow cabs. BUT, We did it! On April 17th Kenny and I made the trip to the city that literally never sleeps. We found out by accident that bars are open till 4am and had to wander home at 5 wondering how we made it that late. This post is my list of Do’s and Don’ts based on my five day experience. – Be a tourist. This was our biggest mistake. We had the New York Pass, so we figured we needed to knock off as many things on the to-see list as possible. WRONG. We spent more time in lines then actually enjoying our day. Pick one or two things and do only those. Otherwise you will find yourself frustrated and wondering where your day went. – Spend time in the Upper East Side. Unless you are living there, or you are a die-hard Gossip Girl fan, there is nothing for you in the Upper East Side. We spent a few hours wandering through looking for a place to eat. Correction – there is no place to eat in the Upper East Side. GET OUT WHILE YOU CAN! – Get caught up in Times Square. Times Square if overwhelming, for obvious reasons. But once you get exploring and out of the jam-packed, lights everywhere area, you will discover so many other beautiful parts of the city. – Make an hourly plan. Its hard enough as it is just to get a dinner reservation. Dont pack in 35 things to do between when you wake up and when you go to dinner. Kenny and I did this, and almost missed half of our reservations and scheduled events. Just chill, take the day as it comes rather than try to do everything. – Wear some walking shoes. We spend most of our trip wandering. It is the best way to see the city. – A bit of research. It really helped knowing where we were, and having some sort of outline to what we absolutely had to see. – Go to the Spotted Pig. Yes, Jay Z is a part-owner. Yes, its a little hipster. Yes, its a tad pricey. YES, YES YES is the answer. You must go. Sit at the bar, eat some deviled eggs, enjoy yourself. – A boat tour. This was the one touristy thing we did, we enjoyed the most. As first-timers we had to see Mrs. Liberty and it helped us get our bearings outside the city – learning about the suburbs. – Rent bikes and circle Central Park. This was our favourite activity of the entire trip. We rented bicycles and spent a whole afternoon in Central Park. Along with this must-do, you also must do the small boat rentals in central park. Only $15 for an hour, and breathtaking views. AMAZING! – See a broadway show. This one is obvious. Its BROADWAY! Unlike any other city and any other show, you will get top of the line actors and scripts only in NYC. Too expensive? Then head down to the TKTS by the sea, and pick up tickets for 50% on the day of. We did this one day, and it turned out to be so much fun – spontaneous and cheap! – Get up early. We made the mistake of drinking too much. Which leads to sleeping too long. Which leads to grumpy starts to the day. My best advice, get up early. Start your day, and get moving. Pick up a bagel and go lay in Central Park. GET OUT! Do things! – Make friends. Whether its a friend of a friend, an acquaintance, a bartender, whoever – make friends. Locals always know better. They know the best spots, they know the worst spots, and they know people. Count on some local guidance for support whenever you can. It makes for a much bigger, better trip! 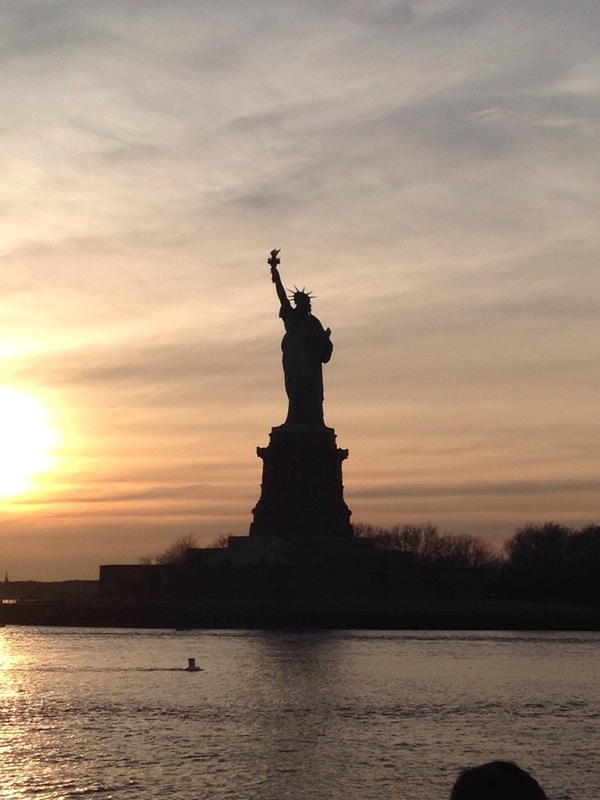 Either way, if you are a NYC first-time like we were, or you are a veteran – enjoy the beautiful city. Take in all it has to offer. Splurge. Because you know what, you’re in New York City.